Dan is a retired U.S. Navy Commander who comes equipped with a Professional Graduate Certificate in Non-Profit Management from the University of Southern New Hampshire, and an M.A. in National Security and Strategic Studies from the Naval War College. ﻿﻿Richard Rinker has a varied background in the health care field including managing an angiographic and heart catheterization suite and teaching health care courses at a community college. Richard is an ex Navy Corpsman instructor and Radiologic Technologist who also has a degree in Allied Health Education from the University of South Florida. Mr. Rinker retired as Director of North American Sales and Canadian Operations for Cordis, a Johnson & Johnson Company. While sitting in a church in Portsmouth, RI eight years ago, Richard heard Rev. Bill Taylor speak of the poor in Nicaragua and the need for a mobile health clinic in the barrios and rural mountain areas. A few months later, they traveled together to Nicaragua to visit the church’s other missions and hired a part time doctor and driver, acquired a used pickup truck, obtained some donated medications from Johnson & Johnson and started the Amanecer Mobile Health Clinic. Richard travels to Nicaragua on a regular basis to oversee the clinic operations. 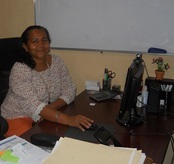 Verania manages the health care teams and is our interface with community, government, and partner organizations. She also coordinates training of Community Health Aids. Verania is a professional nurse, with a degree from the Nicaraguan Polytechnic University. She has also completed a Computer Systems program at the University of Commercial Science. Before joining the AMHC team Verania was an instructor of courses for surgical technicians and auxiliary nurses. She also served as a Nurse Supervisor at MINSA, the Nicaraguan Health Department. Kevin is a retired executive in the financial services sector. He has been on over 30 mission trips since retiring in 2000. After participating in many trips in the US, he made several trips to Ghana West Africa. Since 2008 he has been concentrating his efforts in Nicaragua. 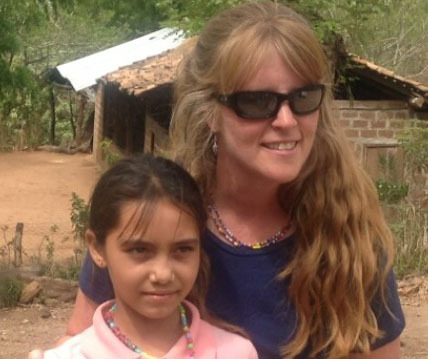 ​Sandy's graduation from the UMass Amherst Nursing Program took place on a Sunday in 1993, and she left for her first Mission Team trip to Nicaragua on the following Friday, believing that this would be a one-time experience, but an incredible opportunity for a new RN. Sandy had no idea how her life would be changed during this two-week period and she returned home with many stories to tell. 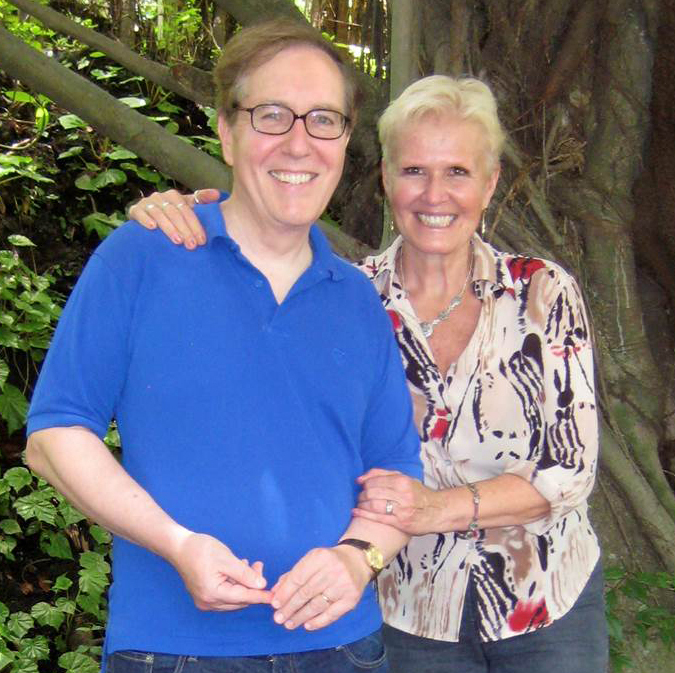 In 1998 her husband Steve made his first journey to Nicaragua. From 1998 to 2013, Sandy served as chairperson of the Nicaragua Covenant Committee. Steve has also served as long-time NPC member and has been pastor of the Weston UMC since 1997. They both recognize the Nicaragua Covenant as a gift from God and continue as active members of the Nicaragua Covenant Committee, often leading Mission Work Teams to Nicaragua. Sandra Collins, Director of Communications and Public Relations. Sandra has a MSW from the University of Pennsylvania, School of Social Policy and Practice. She has worked as a social worker in a variety of urban settings for over twenty years. After her inspiring visits to Nicaragua Sandra's goals are to increase awareness of the significant work being done in Nicaragua and to encourage others to join the efforts of the Nicaragua Covenant. Kevin is a retired executive in the financial services sector. Joanne is a retired Literary Specialist, Hingham, MA School System. They have worked with the NC as a team since 2008, having led mission teams renovating and resupplying schools. In 2013 they led a Water and Sanitation Project in Las Mercedes. After seeing the impact of the project, they now concentrate on developing projects to bring pure water and good sanitation to villages where our medical clinic has identified water borne illness.